A Perfect Overwhelming Debt Defined Lammert Fractal Series … or a Blow=off Caricature? Time will Tell. 2/5/2 of 4-5/3 days …. as of the end of the trading US 12June 2012 trading day. 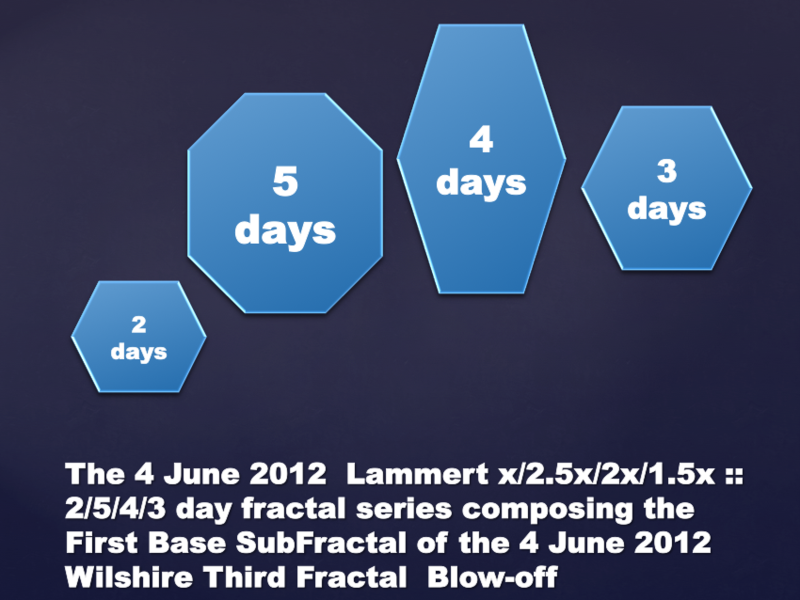 The Wilshire’ 1,4,5 June second to third fractal inflection area. 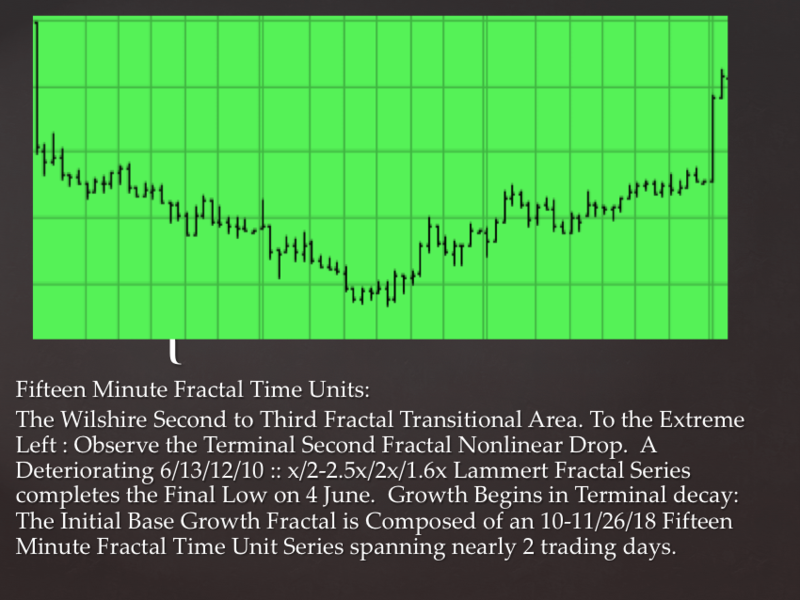 A deteriorating 6/13/12/10 fifteen minute time unit :: x/2-2.5x/2x/1.6x deteriorating four phase Lammert growth and decay fractal series completes the 19 December 2011 through 4 June 2012 Wilshire 115 day second fractal with its 4 October 2011 11/28/17 :: x/2.5x/1.5x or 54 day base. The sub base fractal for the first fractal of the Wilshire’s 4 June 2012 third fractal series is composed of a terminal deteriorating 10-11 then a growing 26/18 fifteen minute units fractal series of x/2.5x/1.6x or 10-11/26/18 fifteen minute units and is nearly 2 trading day units in length. 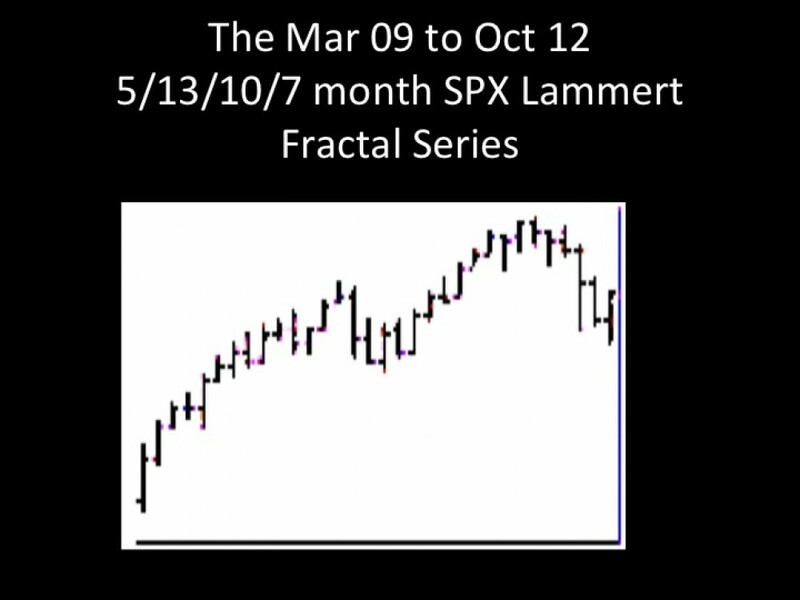 Notice the similar x/2.5x/1.5x fractal base pattern series of the 4 October 2011 in time units of days and the fractal pattern of the 4 June 2012 in time units of fifteen minute.